Authentico s.r.l. 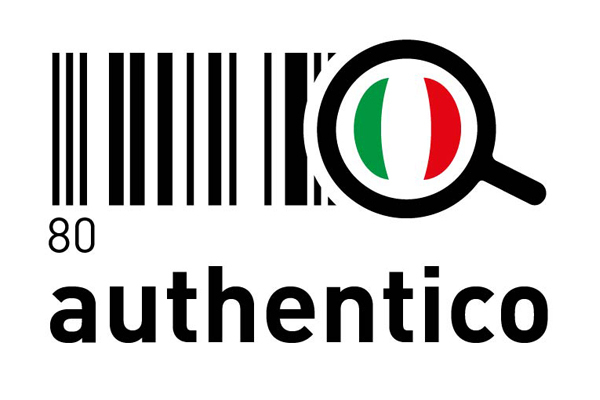 is a startup registered in the register of innovative companies founded by managers, entrepreneurs and professionals of digital communication in the foodtech that by joining their respective skills have created a solution to combat the problem of imitation of Italian agro-food products abroad (Italian Sounding) that invoice twice our export. The project has required more than 3 years of study to know and document the various attempts to imitate Italian products around the world and to understand the complex dynamics of the world of production and modern distribution. Authentico helps consumers all over the world to recognize the true Made in Italy food and wine products through a free application (app) for smartphones in a simple and immediate way. Our App allows you to quickly know if the product is Made in Italy by scanning the barcode or the original manufacturer's logo. It also allows you to report fake products by making a geo-localized photo that will be sent directly to the producers. Our mission is to offer an innovative approach to the contrast of the phenomenon of Italian sounding, a solution that starts from the bottom, that is, those who love Italian food and make the purchase choices. We overcome the legislative constraints of labels. We communicate, through food, the companies and men who produce it, the territory, Italian food and wine culture, traditional recipes as well as real Italian restaurants abroad that use original products (we have selected about 3,000 Italian restaurants certified abroad). At the same time, we support Italian companies in the agro-food sector to sell more abroad, to disseminate and promote their products, to accurately identify their target and establish a dialogue. We provide a decision support system that can follow them in choosing to target investments abroad in the markets with the greatest potential; all this without complicating the packaging processes, without forcing to adopt new codes, new labels or change the packaging. It is estimated that abroad there are over 72 thousand tricolor pizzerias. But being able to find a pizza worthy of the name is really a difficult mission. Pizza is without a doubt the most imitated Italian food in the world. The recent UNESCO recognition of the art of pizza makers as a World Heritage Site, if on the one hand represents a great opportunity to revive the real pizza, on the other it increases the appeal of our excellence, attracting the flies like attention of many "clever" who can’t wait to get on the wagon of the winners. The Associazione Verace Pizza Napoletana (AVPN), among the promoters of the UNESCO recognition, has the task of promoting and protecting the true Neapolitan pizza, in Italy and in the world, the typical product that should be made according to the characteristics described in the International Disciplinary for the obtaining of the collective label "Vera Pizza Napoletana", in force since 1984 and drawn up and registered by the AVPN. The Association, also engaged in the promotion and protection of affiliated pizzerias and products of the production chain as well as in the professionalization of pizza makers, has worked hard to find a solution that would help consumers all over the world to recognize a true Neapolitan pizzeria, relying on innovative startup Authentico whose mission is to counter the phenomenon of imitation of our products, known as the term Italian Sounding. "The partnership with Authentico allows us to strengthen our mission also on foreign markets" - says Antonio Pace, president of the Verace Neapolitan Pizza Association, - "through this free App we want to let all the consumers of the world know the real pizza and help them to identify the affiliated pizzerias and our pizza makers (both Italian and non-Italian) who, thanks to our courses and compliance with the regulations, hold high the banner of the traditional art of Neapolitan Pizzaiuoli, now UNESCO World Heritage ". In fact, through the free app for smartphones, lovers of Italian food all over the world can know with a tap where are the nearest affiliated pizzerias AVPN and thanks to the geo-location can be guided comfortably by their browser.